Installation view, 'Mark Bradford: Tomorrow Is Another Day'. Venice Biennale 2017, US Pavilion. Courtesy the artist and Hauser & Wirth. Photo: Joshua White. 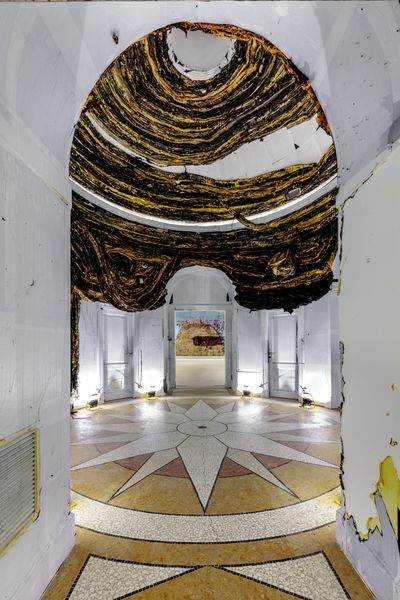 The most important thing about Mark Bradford’s bravura, deeply felt presentation for the Venice Biennale’s United States pavilion is that the bright spotlight of the occasion reveals him to be that thing America can use right now: a new Very Important Artist. In fact, you could even say that Bradford is our Jackson Pollock – and not just because his well-known process of machine-sanding layers of street posters to make an abstract painting mimics Pollock’s technical invention of the ‘drip’. (The Affichistes, Jacques Villéglé and Raymond Hains, already went down that path in the 1960s.) Instead, Pollock’s real groundbreaking contribution was bringing a whole other category of endeavor – the whole theatrical performance of ‘action’ – into painting, expanding the medium’s very definition in a way that’s influenced countless artists. Bradford is doing that too, expanding painting by bringing social practice into his artist’s studio by tying his work as a painter specifically to his work with foster children and other at-risk communities. ‘When I say the artist is a citizen, I have interest in politics and communities, but it’s still under the umbrella of being an artist,’ Bradford said at the opening ceremony for his pavilion. 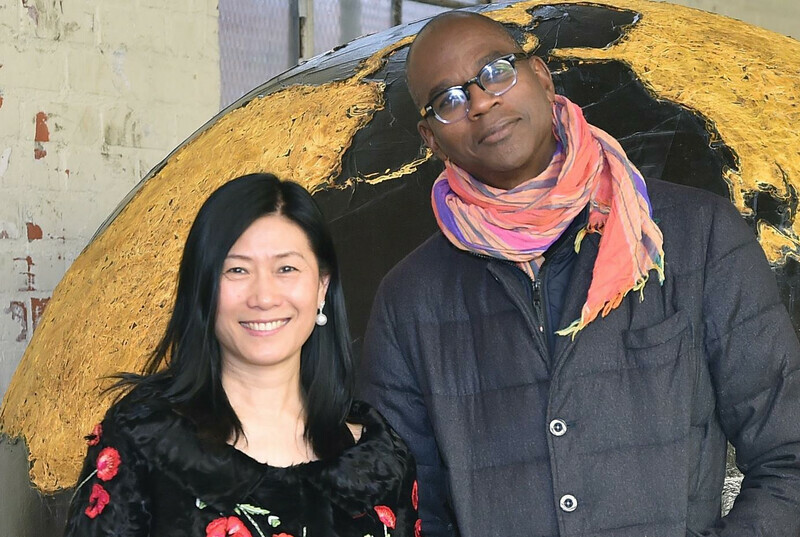 Over the years, he has used his clout as a market star to support numerous social causes in his hometown of Los Angeles, focusing this work through his nonprofit organization Art + Practice. He has sold artworks at auction to raise the hundreds of thousands of dollars to fund these projects. He has also incorporated materials related to his causes, such as street ads for services – usurious lenders, for instance – that prey on the unfortunate, into his paintings. ‘I like to pull information from the world, material from the world,’ he says. 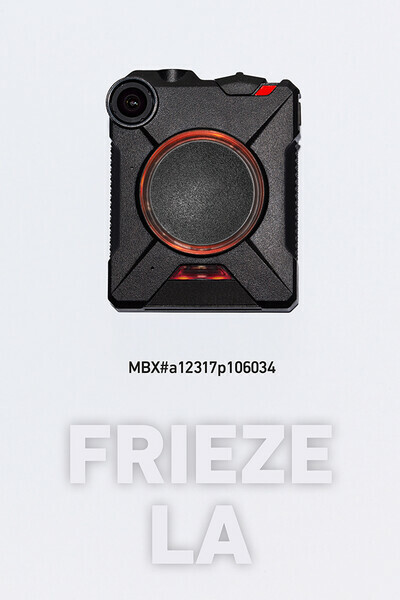 The notion of what it means to navigate as an outsider, as a gay black man in America, is the central conceit for Bradford’s pavilion. For the artist, the Palladian building itself, with its striking similarities to Thomas Jefferson’s Monticello, stands for White American Government. As a result, you don’t enter the pavilion through the grand front door, as usual; you enter through the side door, like one of Jefferson’s slaves (or, until relatively recently, any black person in the South) would. 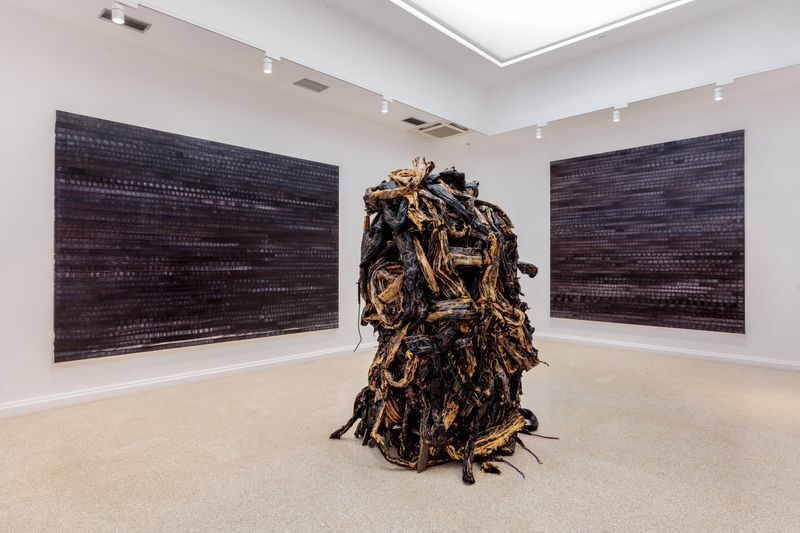 Installation view, Mark Bradford: Tomorrow Is Another Day. Venice Biennale 2017, US Pavilion. Photo: Joshua White.Courtesy the artist and Hauser & Wirth. 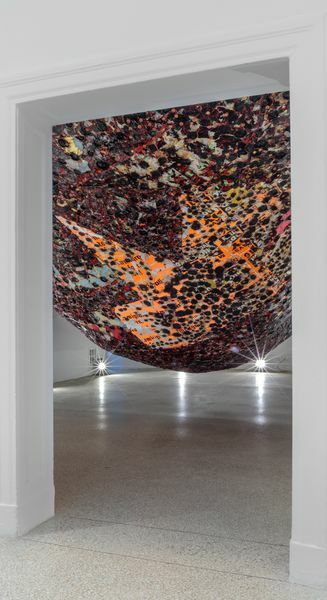 Inside the first room, a giant red-and-black papier-mâché tumor-like sculpture hangs from the ceiling and literally marginalizes the visitor, forcing him to navigate around it by clinging to the walls. It’s meant to also represent Hephaestus’s club foot, citing the myth of the Greek blacksmith god’s maiming expulsion from Olympus, but the pavilion’s mythic overlay of gods and medusas – including the poem inscribed outside the entrance – is best understood as a way of tapping into the universality of ancient lore to intensify and exalt Bradford’s core themes of community. It’s a bit silly, and best taken lightly. In the next room, there is a central painted-and-bleached-paper abstract sculpture of a medusa’s head surrounded by three weighty, gorgeous paintings of minimalistic black-and-white patterns that Bradford made by dipping hair-salon endpapers into a mixture of hair dye and paint and imprinting them onto canvas. Named after classical sirens, they are each dedicated to an important woman in the artist’s life, beginning with his mother, in whose hair salon Bradford famously and consequentially worked for years. Leaving this room behind, you enter the pavilion’s rotunda, which posed the greatest challenge to Bradford because he sees it as representing the most official, governmental space in the building, and therefore his opportunity to address his perspective on his country’s government. In the inaugural remarks, interim US ambassador to Italy Kelly Degnan praised the opening as a wonderful occasion for ‘people who love art, and that includes the United States government’ – drawing skeptical murmurs from the crowd, considering who is presently in charge – and said it was a ‘great privilege’ to support Bradford in representing the country. The last room, unexpectedly, is a video work. A young black man (a friend of Bradford’s) walks down a Los Angeles street, a poster wrapped around a streetlamp to the right, a discarded 40 bottle to the left. Wearing a white tank-top, baggy yellow shorts, and shoes with pulled-up white socks, he alternates a noticeably sashaying gait with an occasional burst of breaking into a running jump. ‘I’m better at innovating than creating,’ Bradford says of his work, and in his pavilion you can understand what he’s getting at. His work is filled with a rough, hard-fought elegance. He’s improvising, using what’s around him, trying to make something good out of it, and that’s what makes him a great artist.